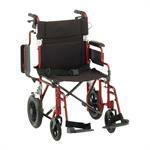 A vast majority of wheelchair parts currently can not be listed on the website. If you are looking for a part and can not find it please contact our HME2GO.com Manager at the email address provided below. Please provide the wheelchair model #, the part # and a brief description of the part. Thank You. In addition: Unless your product is a new or more recent wheelchair you should send an email to verify your part by clicking on the prompt below and following the instructions stated below for Older Model Wheelchairs. If you need any other additional assistance with parts for Nova products, you may also use this link to email our parts manager. In order to find wheelchair parts for OLDER Model Wheelchairs it is important to provide the serial number of your wheelchair. This number can be found under the seat on the cross bar of your wheelchair. Please send an email to the Black Oak Pharmacy Manager by clicking on the link below. Please provide your Wheelchair model #, serial #, year purchased, where purchased, and the part name or description and we will follow up and contact you with the correct part. Thank you.